2005&2006 Augusto Boal’s Theatre Center i Rio De Janeiro, Brasil, praksis. 1990: Moscow Art Theatre, Russia, regi. 1991 Moscow Art Theatre IATA/Ukraine, regi. 1992 British Council/Middlesex University, London, England, regi. 1979-80 James Madison High School, Washington DC. Co-producer European Capitol of Culture Stavanger 2008 , Norway, opening parade. 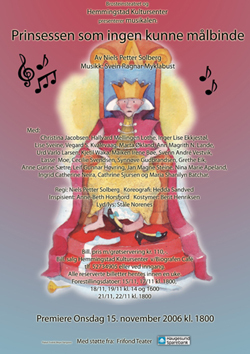 1996/01 Haugesund Theatre , pedagog/theatre director. 1997/98 Steiner School in Haugesund, drama teacher. 1995/96 Department of culture i Nord Trøndelag, project leader KAFU. 1992-96 Norsk Revyfaglig senter, Høylandet, theatre director/pedagog. 1994 Nord Trøndelag Fylkeskommune, kulturetaten, project leader. 1994 Italia Conti Theatre Academy, London, theatre director. 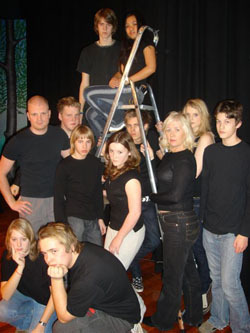 1992 Sogn og Fjordane Teater, Director. 1992 Fylkeslegen i Møre og Romsdal, Director Aksjonsteatret. 1991-92 Distriktshøgskolen i Volda, drama teacher. 1990-92 Teatret Vårt i Molde, pedagog/theatre director. 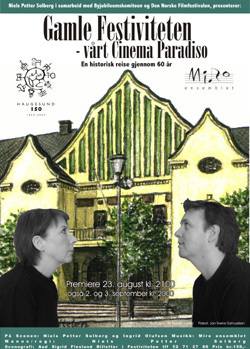 Directed and acted in 130 different theatre productions in Norway and The US. 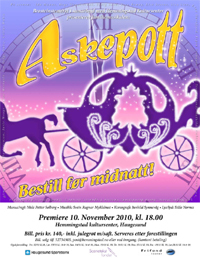 Highlights: ”Chicago”, ”Mousetrap”, ”The man himself”, ”Suddeliduttandei”, ”Three Penny Opera”, ”Showboat”, ”Fiddler on the roof”, ”Essex Girls”, ”Steel Magnolias”, ”Gutlarina”, ”Scrooge”, ”Spill opp Martin”, ”Mother Courage”, ”Nokon kjem til å kome”, ”Abigails Party”, ”Baldheaded Primadonna”, ”Boals Forum Theatre”, ”Shirley Valentine”. 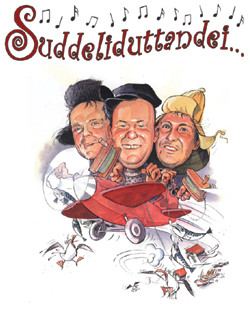 ”Haugesund du é”, ”Talking heads: Bed among lentils”, ”En glad gutt”, ”Meetings of Mind” with Steve Allen og ”Egil Eide aften” with Lars Andreas Larssen. Etc. 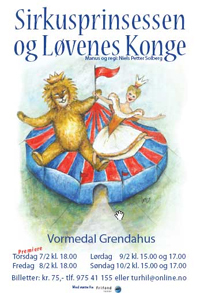 Playwright: ”På låven sitter nissen”, ”Little Red Riding Hood”, ”Princess on the Pea”, ”Hans & Grethe and Congorilla from Rio”, “The Haunted House”, Prinsessen som ingen kunne målbinde”,“Miranda the mermaid”, “The Circus Princess and The Lion King” and seven various Augusto Boals ForumTheatre plays for the youth theatre. Co-director in the US to: Steve Allen, Martha Raye*, Eileen Heckart*, William Christopher and Dan Daily. *academy award winners. Artistic leader of Haugesundscenen during 1988-90. 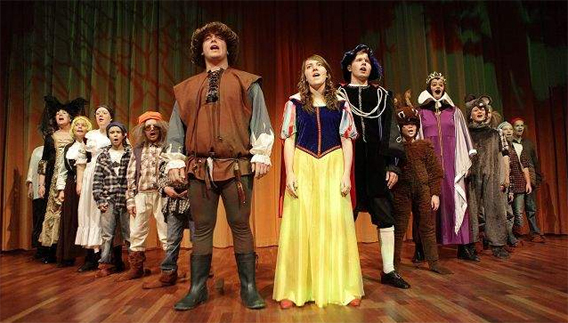 Speaker and teacher in drama, acting and film history for theatre festivals, film festivals, colleges, high school, student organizations and teacher centers. 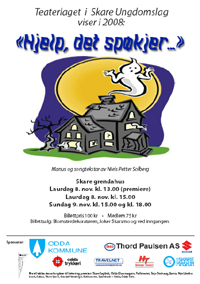 Member of the Norwegian Theatre Directors Association since 1991. 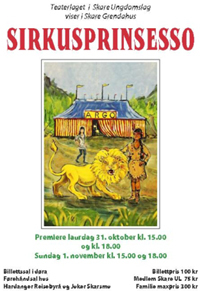 2004: Kib Media/Sydvest Film, project/script: ”John Aasen: from freakshow to the silver screen”. With: Greta Nissen, Greta Gynt, Sigrid Gurie, Anna-Lisa, Julie Ege, Vera Zorina, Virginia Mayo, Jeff Corey, Forest J Ackerman, Patricia Morison, etc. 1994: Stage director for Norwegain Broadcasting System tv serie: ”Skal det være et nummer ?” co- produced with The Norwegian Revue Center. 1990/91: Tv host for TV-Romsdals advent programs and TV Haugaland “candid camera”. 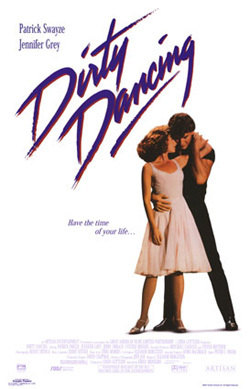 1986: Appeared in ”Dirty Dancing” for Vestron Films. 1989: Appeared in ”The Dive” for Filmeffekt. 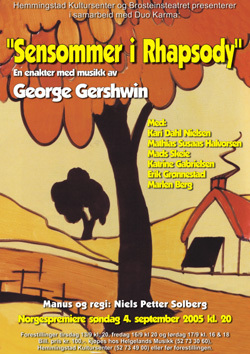 Co-hosted several radio programs for The Norwegian Broadcasting System + NRK P-2 Wok serie med: ”Top of the worse” and ”Norwegian glamour in Hollywood”. 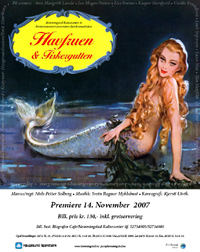 1996/97: Two seperate exhibitions at Haugesund Art Gallery and The Norwegian Filmfestival titled: ”Hollywood Memorabilia” and ”60 years with sci-fi films”. Poster art exhibitions. 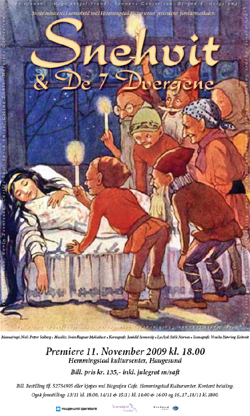 Author of many articles related to film and theatre in: Dagbladet, VG, Haugesunds Avis, Bergens Tidende, Rogalands Avis og tidsskriftene Henne, Psychotronic Video, Celebrity Sleuth, HISTORIE og Little Shoppe of Horror. Co-writer, Norwegian Biogrophies, Kunnskapsforlaget, 2006. Author of the book ”Norwegian film divas in Hollywood”, Det Norske Samlaget, 2002. Author for workshop book for actors and directors. 1995. Consultant for The Big Revue book, Marcus forlag, 1995. 2003-07: City Council member in Haugesund County, Norway for The Norwegian Labour party. Board member i Kultur og Festivalutvikling. 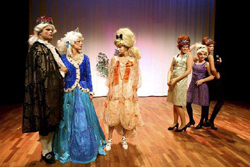 2003-04: Leader for Haugesund Citys 150 the Celebration committee for teenagers with responsibility for several events..
Norwegian State Scholarship in 1991,2000 and 2006, Haugesund County Culture scholarship, Rogaland Fylkes travel scholarship for 1992,2002 and 2009. Norwegian foreign departmens travel scholarship, Norwegian State Scholarship for travel, Work scholarships from Norwegian Film institute, Vestnorsk Film center and Norwegian Filmfond. 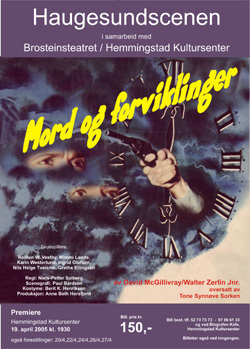 Niels Solbergs Film Archieves has over 5000 posters and lobby cards from 1920-1976. Speciality is science-fiction, horror, and Norwegians in Hollywood.